Did you know that there are shows where you can show your Breyer horse? Yes, those model horses that you have in your closet or up on that shelf getting dusty, you can dress them up in tack and show them off. Showing model horses first came to my attention about 15 years ago when I started to notice an upswing of tack and accessories for the Breyer horses being sold on eBay and actually getting high prices for them. It was then that I did a little research and found out about the model horse shows being held on weekends. 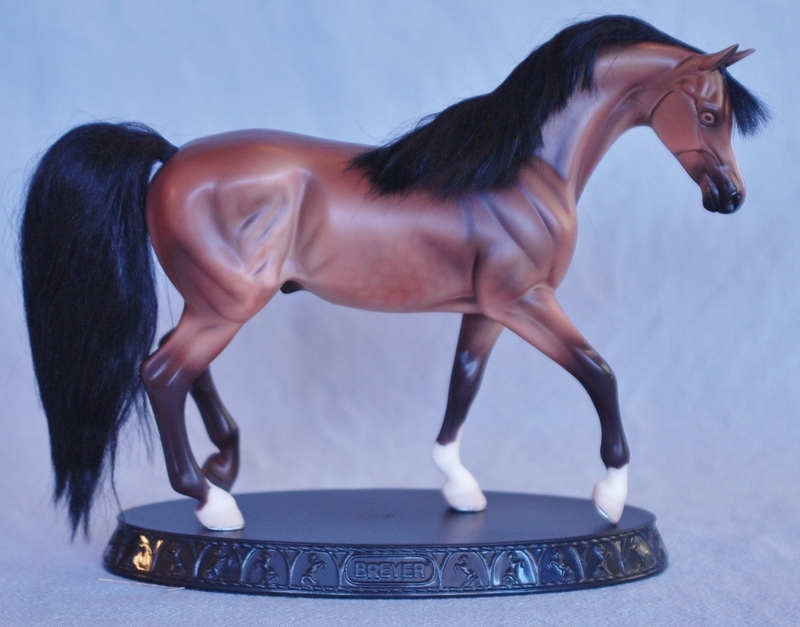 People will either buy an over the counter model horse and customize it by painting or heating up the legs and reposing them or buying a craft horse such as the one below and adding mane and tail to it as well as a custom color. If you are interested in customizing your own model horse then I suggest this book on Prepping and repairing the model horse . On the same page you will also find other books on the subject. 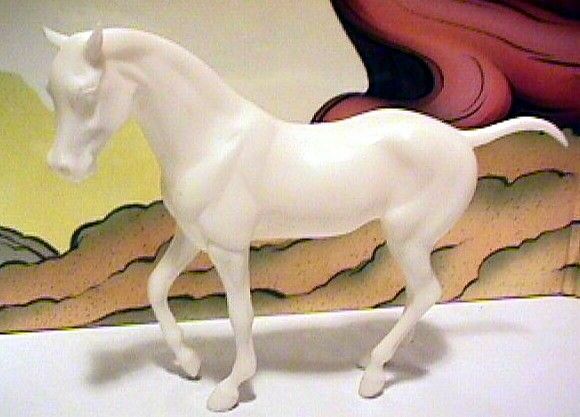 If you need to identify what Breyer horse you have then this website – Identify your Breyer Horse, will be invaluable to you. That same website also has lots of information on showing your model horse.